Working in the kitchen can be lots of fun for the kids when you add a dash of imagination and a sprinkle of creativity in it. 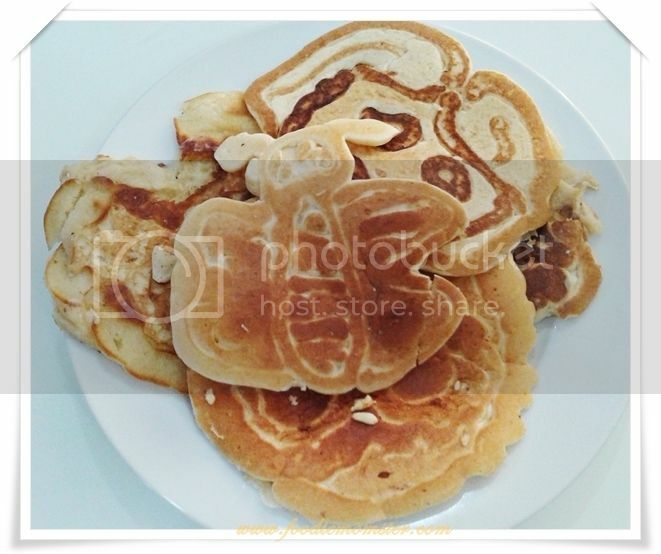 When cooking pancake for instance, instead of making the usual round pancakes try to create different shapes and sizes for the pancakes. 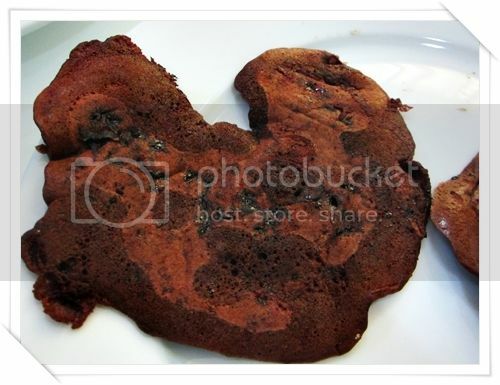 You can also encourage kids to use their imagination in choosing pancake shapes for a more fun filled bonding activity. 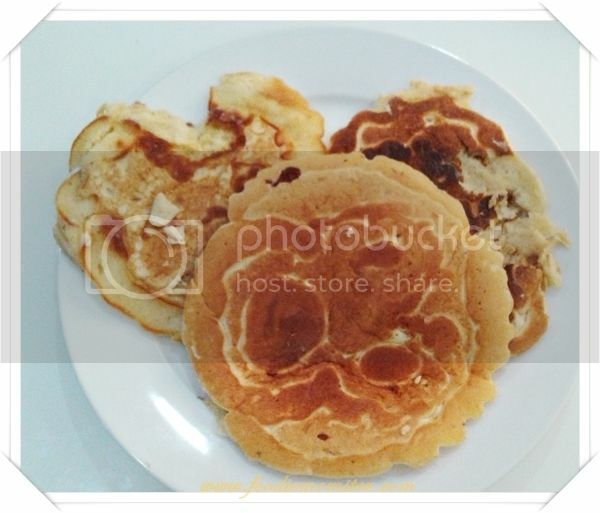 Bear and Mickey Mouse were the chosen characters for Sophia’s first Make Your Own Pancake task. Eventually, we moved on to creating a butterfly, moon, bus, etc. 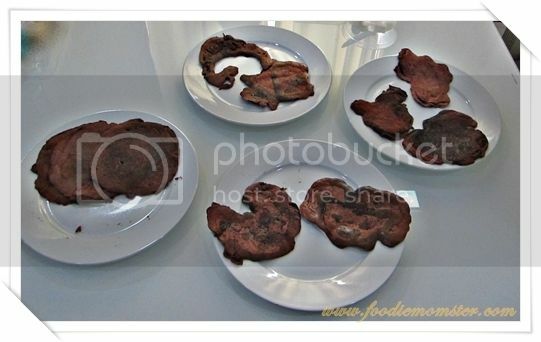 Here are some of the things we did to make our pancake cooking lessons more interesting. Sophia’s first task in our Make Your Own Pancake activity is to prepare the ingredients. We use the Maya Original Pancake Mix and follow the cooking instructions at the box when making pancakes. However, my mom recommended that we use melted butter instead of oil, and replace the water with milk in the list of ingredients. Sophia went through the process of measuring the ingredients and mixing them together to make the batter. Once the mixture is ready, we helped her grease the pan and turn on the stove. We kept it at low heat just to be safe. With some assistance, she scooped a ladle full of batter and poured in in the pan to form a circle for the face. We then proceeded to make an ear using a tablespoon of batter poured on the top left portion of the face. The same thing was done for the right ear. It was crude at first but we got the hang of it eventually. The pancakes looked all the same, round face with round ears, but Sophia insisted that some were bear pancakes and the others are mickey pancakes. If you have pancake toppings in your pantry, then you can use them to dress up the pancakes. For example, chocolate chips may be used for eyes and nose, and chocolate syrup for drawing the mouth. I didn’t have pictures to show the product for our first activity but I was sure to have my camera ready for our 2nd and 3rd attempts. We had so much fun with our Make Your Own Pancake activity that we had to do it again. This time we used a squeeze bottle to add detail to our pancake creations. This time we used a chocolate chip pancake mix for the batter and prepared some marshmallows for toppings. After mixing the ingredients, we placed 1/3 of the batter in the squeeze bottle while the rest was left in the bowl. Just like before our pan was set at low heat. With a little help from the adults, Sophia took the squeeze bottle and proceeded to make a bear outline in the pan. Once you see the bubbles form in the batter, you can start filling the empty spaces with batter from the bowl. Sophia tried to flip the pancake when it was ready but she had some difficulties with it. Nevertheless, she still had fun making the outlines and filling them up with batter afterwards. We could barely see the outline when the pancakes were cooked so we decided to switch back to the original pancake mix for our 3rd attempt. It was a definite improvement from our chocolate pancakes. Perhaps next time we can use two types of batter. A chocolate batter for the outline and the original mix for the filling. The best part of a Make Your Own Pancake activity is showcasing and eating the creations. We were all proud of Sophia’s Pancake Creations and she enjoyed showing it to us. Sophia used an off the shelf pancake mix but these pancakes are very special for all of us. They even taste better too! Parents and kids can take advantage of their free time this summer for a pancake making activity. This is a great way to hone culinary skills and stimulate creativity in children. 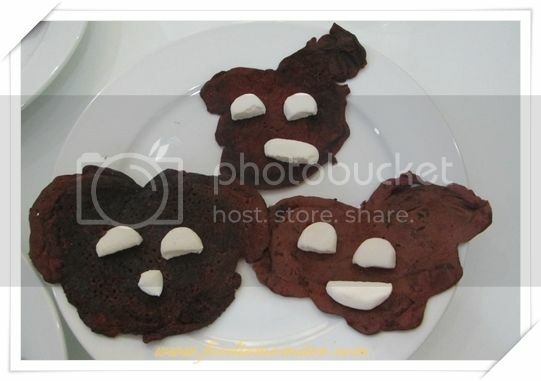 You can also bond with your kids as you play around with characters for the pancake and dress them up with toppings. Moms who want to do this activity without having to deal with the prep and clean-up tasks can take their kids to restaurants that offer DIY pancake meals. Slappy Cakes has a Make-Your-Own Pancake meal that you can use for a fun bonding activity with your kids.